Proceeds from this event will go to the Mercer Clinic for the Pets of the Homeless, a free service run on a volunteer basis by veterinary students, preveterinary undergraduates and veterinarians, open once a month on the grounds of Loaves & Fishes in Sacramento. 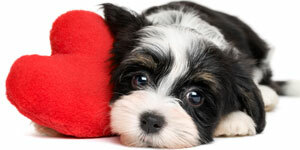 Call 916-485-5412 for Valentine's pet photo appointments. Walk-ins also welcome.